increase traction by powering both wheels under all conditions. Power is transferred automatically without the use of friction pads or plates used in other limited-slip designs. 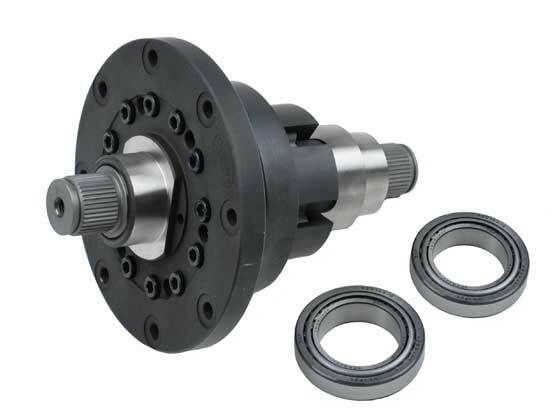 Acting as an incredibly smooth limited slip differential during normal to moderate driving this unit can be “locked up” for extreme duty situations, delivering maximum drive torque to the wheels. both worlds, the drivability of an ATB differential, with a full locker option when needed. While it is designed to be used in Syncro Vanagons equipped with factory locking differentials, it can be installed in non-locker equipped Syncro’s and 2WD Vanagons with additional parts. The ATB design is extremely strong and durable and since ATB diffs are gear operated, there are no plates or clutches that can wear out, needing costly replacement.